Sky1 in the UK has commissioned a celebrity panel show from the makers of its successful format A League of Their Own. 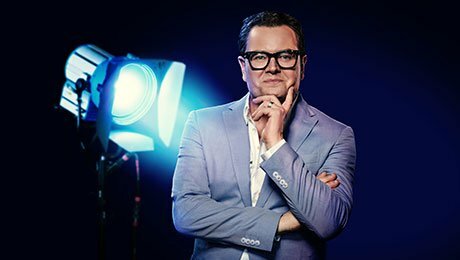 There’s Something About Movies will launch at the beginning of May, hosted by comedian Alan Carr. The 6×60’ series, produced by Red Arrow-owned UK prodco CPL Productions and Motion Content Group, sees some of Britain’s favourite actors and comics testing their film trivia knowledge. There’s Something About Movies is the latest in a raft of recent commissions as Sky continues its investment in original content with British talent, including Helen Mirren (Catherine the Great), Idris Elba (In the Long Run season two), Tim Roth (Tin Star 2) and Romesh Ranganathan (A League of their Own, The Reluctant Landlord 2).